A dream home should be located at a place which has seamless connectivity with major means of transport. All major facilities including hospitals, schools etc. and other entertainment destinations like restaurants, shopping malls etc. should be in a close vicinity to your sweet home. After waiting for a dream home for so long, your family would like to have great amenities in their home. You should consider one such project which offers most of those. At last but not the least, a project having wide open-space which provides natural sunlight and fresh air with greeneries everywhere should be at the priority of your list. A spacious flat having all the modern comforts inside it will please your family. 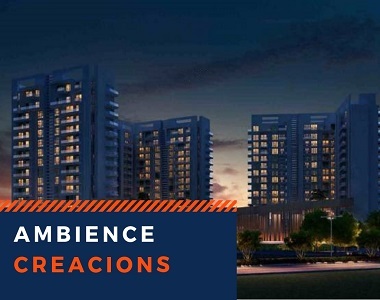 If you still don’t get all these specifications at single premises, a remarkable project, Ambience Creacions located at Sector 22, Gurgaon will cherish all your requirements. Connected with several expressways including Old Delhi-Jaipur Expressway, NH-8, Dwarka Link Road and Bijwasan Road, the project has seamless connectivity to all the major landmarks of Delhi-NCR. 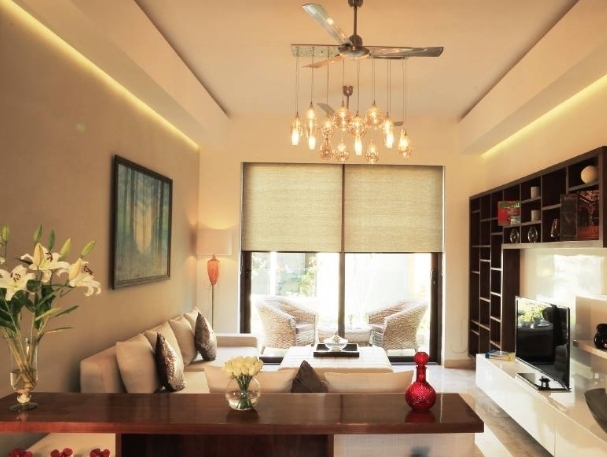 The spacious apartments at Ambience Creacions Gurgaon are a perfect blend of utmost designing and superb construction. Constructed over an area in size varies between 1380 – 4422 sq. ft. these finely crafted apartments of 2, 3 and 4 BHK are three sides open which provide complete ventilation and proper sunlight. Every classy element used in the exteriors and interiors including the wooden tiles, the green marbles, the super-shiny flooring, the perfect finishing indoors, walls in living area, the interior designing in the modern kitchen is an example of perfection. With a price range starts from Rs. 1.51 crores and goes further up to Rs. 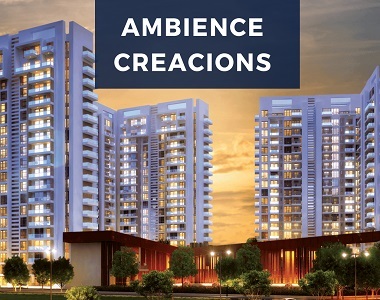 4.37 crores, you will get the real value of your investment in Ambience Creacions Sector 22. Every civic amenity required for a modern lifestyle is available at the premises. Some of which are landscaped gardens, spa with sauna and steam, Jacuzzi, swimming pool, club house, joggers track, indoor games, play area, tennis, badminton/squash/basketball courts, nets for cricket practice, yoga/meditation centre etc. A sweet home requires a comfortable and secure lifestyle, so to provide you all the comforts, facilities including security, power back-up, constant water supply, convenience lists, library, sit-outs, sewage treatment plant, dedicated lifts etc. are available at the premises.